There are two different types of rubbing alcohol in the market right now – ethyl alcohol and isopropyl alcohol – although everyday buyers don’t really know the difference between the two. Let’s get to know their properties and usage better. Isopropyl alcohol (IPA) is also known as isopropanol with the chemical formula written as C3-H8-O. A colorless and flammable chemical compound characterized by strong odor. Raw and pure isopropyl alcohol vapor is dense and is highly combustible. 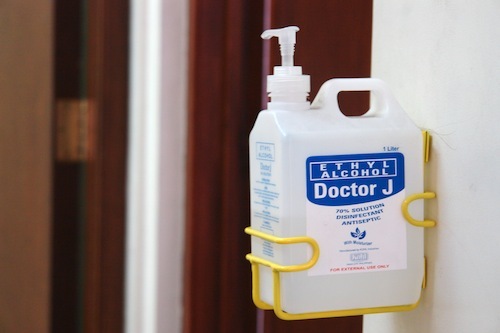 A 70% concentration of alcohol mixed in water is a powerful antiseptic solution that has a wide variety of uses from medical to ordinary household cleaning activities. Ethyl alcohol (EA) or ethanol which is also known as pure alcohol or grain alcohol is an alternative to isopropyl when it comes to rubbing alcohol. Ethanol’s molecular formula is written as C2-H6-O. Ethanol, like isopropyl, is a volatile, colorless liquid that has a mild organic odor. Both alcohols are used as antiseptic agents in different preparations and recently as a main component in hand sanitizing gels. Isopropyl and ethyl alcohol kills microorganisms by denaturing proteins and dissolving the lipid or fat contents of most bacteria, viruses and fungi. Rubbing alcohol is known in Great Britain as surgical spirit – and for good reason! Alcohol is an excellent antiseptic and helps prevent serious infections and the spread of diseases. Aside from being a powerful antiseptic and disinfectant, rubbing alcohol is also a great cooling agent and a natural de-greaser. 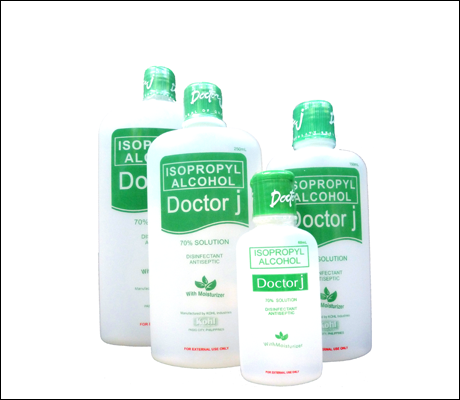 Both isopropyl and ethyl alcohol are also used in Kohl Industries‘ Doctor J Alcohol. Available at 70 percent and 40 percent solutions. The same alcohol is also present in Bactigel and Puregel, which gives the cleaning effect for both hand sanitizers. These are the few products that every home should have as part of their first aid kit or household cleaning tool.